The much anticipated shortlist of players vying for spots in the 2018 FIFA FIFPro World XI team has been officially released. A total of 55 world class footballers who excelled over the course of the past year under review, are now in contention for the 11 available slots on the lucrative FIFA/FIFPro World XI team for 2018. That ultimate honour will be decided by their colleague professional football players from across the length and breadth of the globe; and Ghanaian professional footballers have not been left out! Ghana’s professional players’ union, the PFAG, is currently coordinating the voting process in Ghana. This is a welcome development, as this affords local professional footballers the opportunity to also decide on their preferred candidates who deserve to be enlisted as worthy members of World Best for the past year 2018. During voting, players will each select 1 Goalkeeper, 4 Defenders, 3 Midfielders, and 3 Forwards. The PFAG has been to visit various clubs to carry out the voting process. These include “continental masters” Accra Hearts of Oak, record league winners Kumasi Asante Kotoko, premiership campaigners Dreams FC, Cheetah FC, the former club side of Black Stars speedster Christian Atsu, Asokwa Deportivo, and “goldminers” Obuasi Ashanti Gold FC. 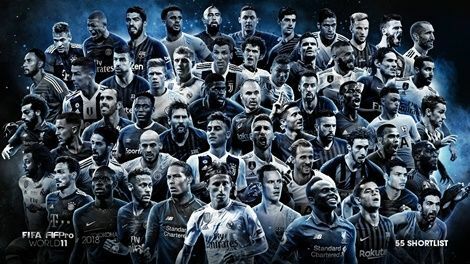 The final FIFA/FIFPro World XI 2018 will be unveiled at the Best FIFA football awards ceremony on the 24th of September 2018.